Yet another salad that makes me drool right now... pregnancy might just be VERY good for my diet! Because protein is important to me right now - I'd likely either have a side of grilled chicken with this, or toss it into the salad. 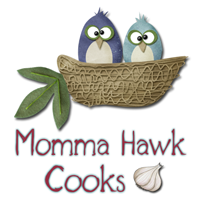 In a large bowl, whisk the first five ingredients until the sugar is dissolved. Stir in thawed strawberries and poppy seeds. Place spinach on individual salad plates. 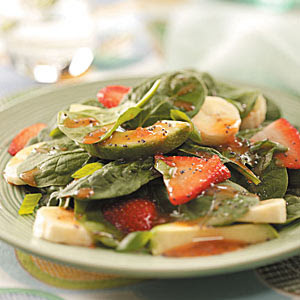 Arrange the fresh strawberries, banana and avocado over spinach. Top with green onions and dressing. Nutrition Facts: 1 cup equals 214 calories, 13 g fat (2 g saturated fat), 0 cholesterol, 29 mg sodium, 25 g carbohydrate, 4 g fiber, 2 g protein.